This is part of a series of articles on the state of the nation ahead of the seismic UK election on May 7. Check out what we demand from the next government, and don't forget to vote. As of this morning, Occupy LSE, stands as the last occupation to leave since the New Universities Movement began six weeks ago. 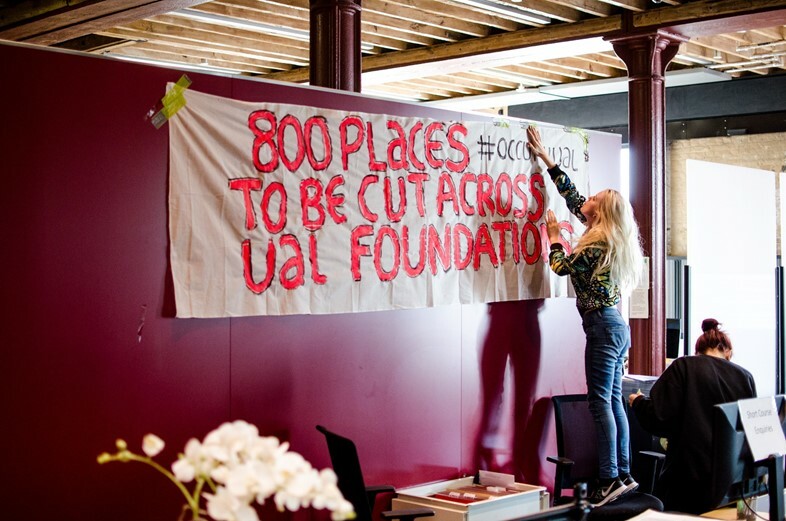 The movement has seen students at Kings College, Goldsmiths, UAL and LSE taking education into their own hands by occupying administrative spaces at their universities. The protests, which argue for democratic responsibility and accountability from their universities, became about something wider: students turning themselves into the university itself. Manny is one face at the heart of this movement. Shifting between the different occupations as he bikes around the city, settling in the occupied spaces, and helping them organise Occupy-style democratic spaces. Direct points, proposals and action points are gestured towards a key speaker. It’s consensus politics that’s been key in these spaces – wavy-hand signs proliferate. This is the latest wave of student protests to argue for changes to education. 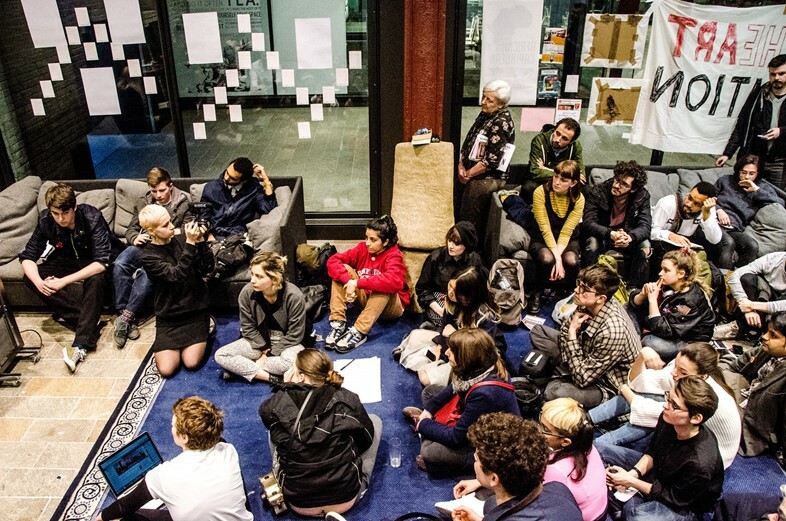 Following actions at The University of Amsterdam, and the University of Cape Town, where students at both have argued for a new way of critically thinking about their universities and their education. 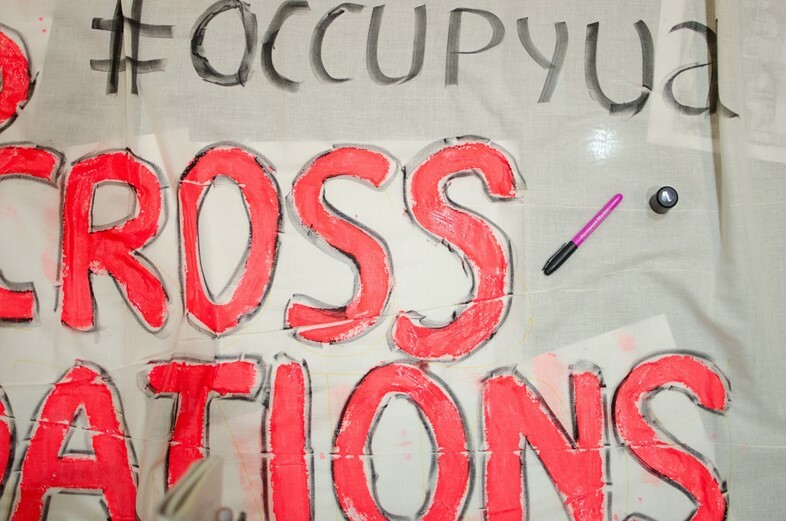 What unites these global protest movements is the occupation of spaces, and the use of these spaces to convene public meetings, demands, open lectures, workshops, and consensus-based democracy. In the UK the demonstrations, which follow on from a long line of similar actions in the last few years, have been partly inspired by movements like the Sussex Occupation last year, and in Quebec, which led the way for the ‘red square’ symbol now found across the student protest movements. It’s in these spaces that students have pitted serviceable, openly accessible education as a main demand. The establishment of the ‘Free University of London’ - a sort anti-establishment brother of the current University Of London – has been a major part of this. The idea is to use spaces to configure public workshops and lectures that are fully open access, in both monetary terms, and to all educational levels. The lectures, which have either been held in occupied universities or informal sit-in sessions at public landmarks, are about bringing alternative forms of knowledge to the forefront, as well as giving different groups a chance to offer a discourse that differs from the normative one set by the government. 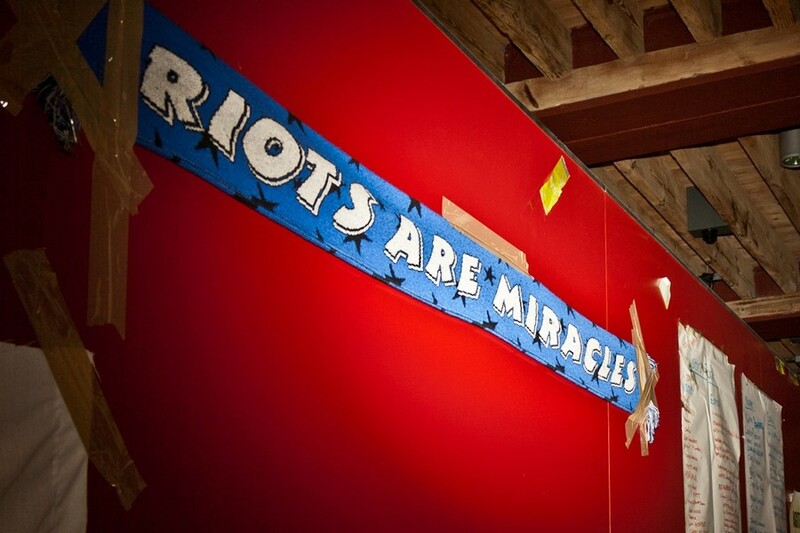 Topics have ranged from neoliberalism to the debt crises, housing co-ops to zine-making workshops. Usually taking place informally, workshops and debates would happen in rooms littered with banners, protest messages, and buzzing individuals launching lengthy Q&As. At Goldsmiths, The Festival for Free Education invited over 30 speakers, finishing off with open mic gigs, poetry ciphers, or parties that would see soundsystems scattered around the occupied spaces. With thousands walking through over the space of the last month and a half, the main idea to emerge is that free public education is entirely possible with committed dedication and hard work. The occupations became eye-opening moments for many, as rapidly developing networks and ideas mixed. “The occupation became an illuminating moment where it didn’t seem like I was the only one thinking this,” says Manny. Within days, other occupations started to appear across London. It’s within these squatted lecture theatres, halls, administration offices, and meeting rooms that students have planned all their actions, talks and configured environments into spaces for studying and liberation meetings. At UAL, Kings and Goldsmiths, occupations began as solidarity actions, but developed into their own spaces, with their own internal demands. Facebook pages and principle demands meetings were set up rapidly, as spaces were transformed from administrative blandness into environments alive with colourful posters, Palestine and PRIDE flags, and slogans drawn on cardboard. At Kings, the occupied space, formally known as The Council Room, used for important administrative meetings and available for hire (‘perfect for civil ceremonies and wedding receptions’ apparently), became another space for education on campus. By day it became a study space; by night, a room for screening films, feeding the local community, and public meetings about the Free University of London. At Goldsmiths, the huge Deptford Town Hall, was transformed and rebranded into the Deptford Cultural Centre for Free Education, bringing it back to its founding purpose as a space for the local community and public education. Again, workshop spaces, meeting rooms, study areas, rehearsal rooms and a venue were opened up for the community to use. “While higher education is becoming increasingly elitist, it is representative of the wider problems that affect so many areas – housing, healthcare, equality, and the democratic process to name but a few,” says Ben, a 20-year-old Kings student who joined the occupation and became a major spokesperson for this new student movement. “Misinformation and a lack of wider awareness means that while hysteria can be whipped up around issues like immigration and the benefits system, we do not address the real cause of so many problems we face today: mass tax avoidance, crippling austerity measures and cuts to public welfare that drastically reduce quality of living and social mobility for those who need it most,” says Ben. With all of the occupations now organising regular weekly meetings on how to pressure their universities, things aren’t stopping. But it’s not just on-going meetings with management that have been the big change through these occupations. “The biggest thing has been the networks that have been established through it,” says Christa. Across the occupations, there’s a simple truth: education in 2015 is tainted by inequality. With university access become ever more limited, free education seems like something that is impossible once people leave sixth form. The key is to set up an alternative.